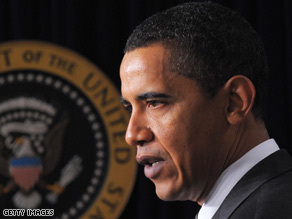 WASHINGTON (CNN) -- President Obama this weekend will become the ninth sitting U.S. president to deliver the commencement speech at the University of Notre Dame, but none of the others has touched off the firestorm of Obama's appearance. President Obama has been criticized by Catholics for his stances on abortion and stem cell research. At issue are the president's pro-choice abortion beliefs, which run counter to the Catholic Church's official pro-life stance, and his support for federal funding of stem-cell research. Those views do not sit well with many high-profile Catholics -- both on and off-campus -- who decry the university's choice in speaker but also that the school will bestow an honorary degree upon the president. "I have no problem with Obama speaking on the campus. ... I have no problem with him addressing the law school, being involved in this symposium. ... I do have a problem giving him the honor," said Bill Donohue, president of the Catholic League. Others, however, have decided to simply skip the ceremony entirely, most notably the Catholic bishop of nearby South Bend, Indiana. Bishop John D'Arcy said in a written statement, "President Obama has recently reaffirmed, and has now placed in public policy, his long-stated unwillingness to hold human life as sacred." But a poll out Thursday shows that most U.S. Catholics want Notre Dame to allow Obama to speak. Donohue, in many ways, agrees with the polling. In a statement in March, Notre Dame President John I. Jenkins said the university has been host to Democratic and Republican presidents and said the invitation does not mean the university agrees with all of Obama's positions. The White House also released a statement saying the president is honored to be speaking at the university and welcomes the exchange of ideas on hot-button topics. Other presidents who have delivered the commencement address include Jimmy Carter, Ronald Reagan, George H.W. Bush and George W. Bush. But many of those presidents have also backed legislation in favor of the death penalty, which is also opposed by many in the Catholic faith, and did not face the backlash Obama is now facing. "Look, abortion is not just like any other issue. It's not even like the death penalty. It is intrinsically evil. It would be impossible to find somebody who's a greater champion of abortion rights than Barack Obama. He doesn't belong on the campus getting an award," Donohue said. iReport.com: What do you think of the school's decision? The speech at Notre Dame is not the only school controversy the Democratic president has faced. Arizona State University said in April that it would not be awarding the president with an honorary degree at its graduation ceremony, arguing that "his body of work is yet to come." But at commencement Wednesday, Obama turned the flap into a joke and then a lesson about never being satisfied with one's accomplishments. "I learned to never again pick another team over the Sun Devils in my NCAA bracket," he said, referring to the school's basketball team. "It won't happen again." "President [Michael] Crow and the Board of Regents will soon learn all about being audited by the IRS," he joked. The university said no offense was intended. The school eventually announced that it was expanding its most important scholarship program and naming it the President Barack Obama Scholars program. As for not achieving enough in life, Obama said he's come to embrace it. "That one's title -- even a title like president -- says very little about how well one's life has been led," he said. "That no matter how much you've done or how successful you've been, there's always more to do, more to learn, more to achieve."